Drinks are available with lightener and / or sugar. Eight canisters allow for a large range of possible drink selections. 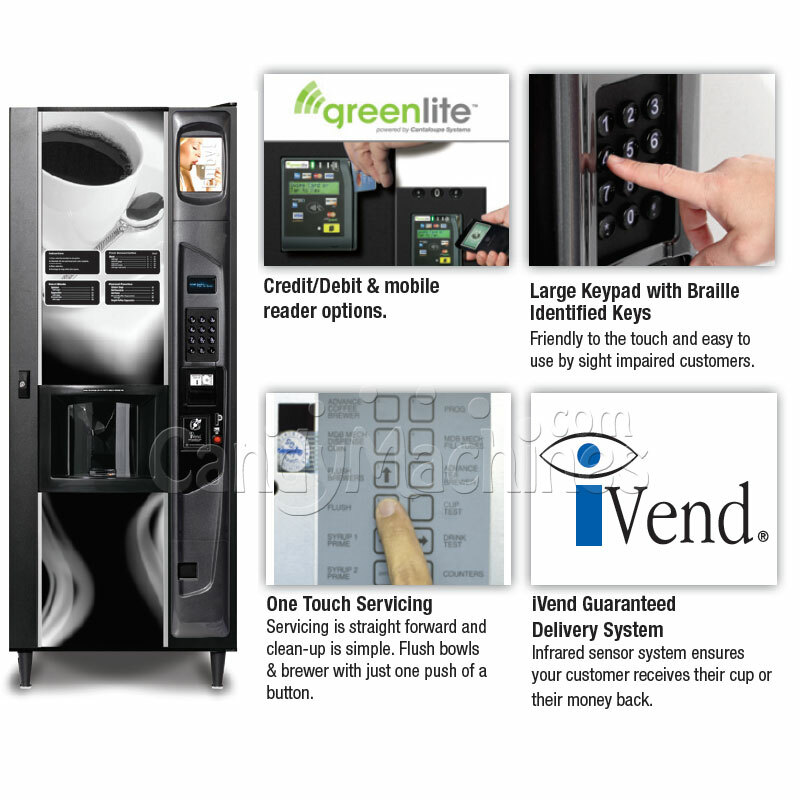 With 36 different combinations, customers will be able to choose exactly what they want whether it’s coffee, espresso, cappuccino, cafe latte, cafe mocha, or hot chocolate. 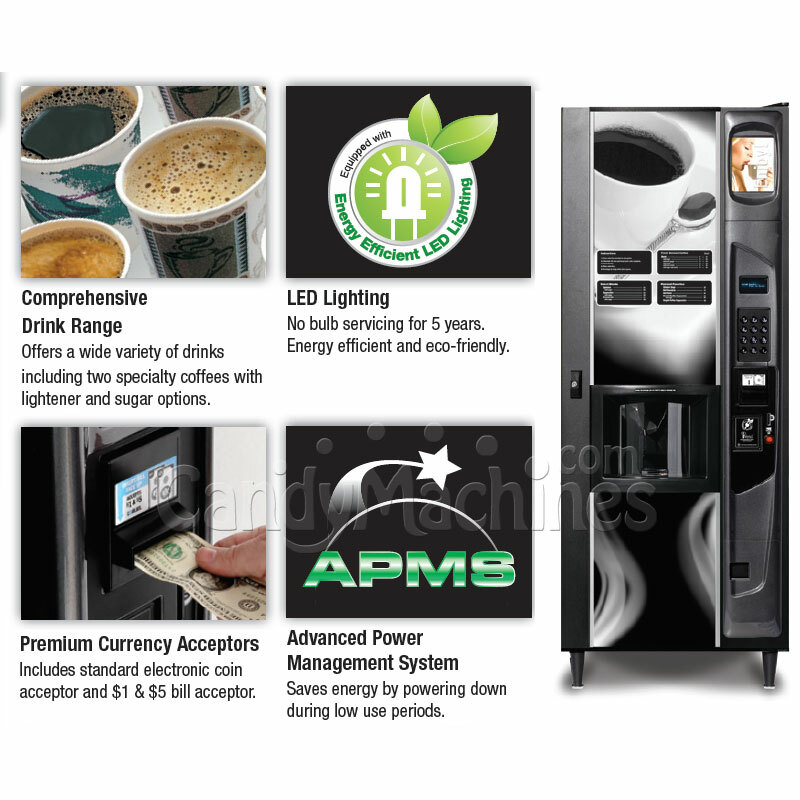 The HBM4 Hot Beverage Vending Machine is a must for any waiting room, lobby, or breakroom. 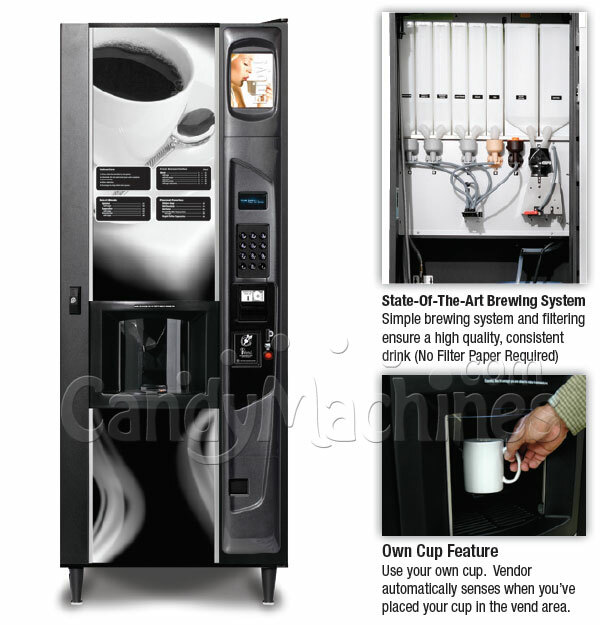 Featuring a state-of-the-art brewing and filtering system ensures consistent high quality drinks. Drinks are available with creamer and/or sugar. With the touch of a button bowls and brewer can be flushed, making clean up a breeze. Offer customers a variety of hot drinks such as regular or decaf. coffee, espresso, hot chocolate, and tea. Eight canisters allow for a wide range of drink selections. 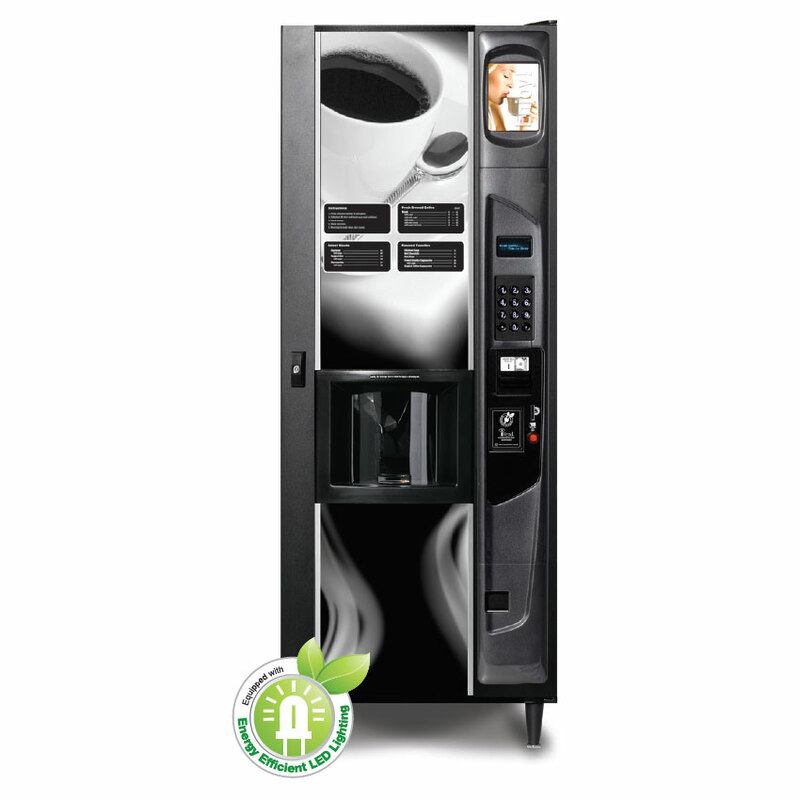 Built in the USA, our Hot Beverage Vending Machine features a comprehensive range of the most popular hot coffee, gourmet and specialty beverages. The sleek design and state-of-the-art brew and filter system provides the best coffee experience for the customer while keeping things simple to service and maintain.